Annamaria Chio was born in Bari, Italy on April 10th sometime in the late 1930s or early 1940s. I’ve been unable to find a specific year of birth. During her career which continues to this day she’s appeared in theater and radio and has appeared in a dozen films and television productions. Her lone Euro-western was as Madame Dupres in 1970’s “The Last Rebel” starring Joe Namath, Woody Strode and Jack Elam. CHIO, Annamaria (aka Anna Maria Chio) [4/10/193?, Bari, Italy - ] – theater, film, radio, TV, voice actress, married to Osvaldo Thomazelli (1958-19??). 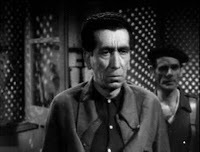 Jose Sepulveda (actor) would have been 110 today, he died in 1969. Doru Ana (actress) is 65 tody. 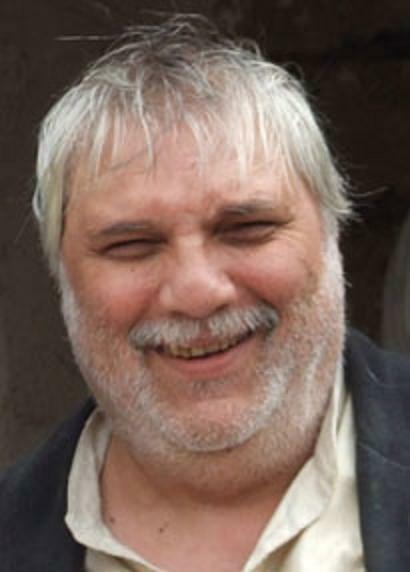 Bret Davidson (actor stuntman) would have been 60 today, he died in 2017. British actress Sheena Marshe passed away in a care home in Kent, England where she had lived for several years. She was 83. Born Shirley Kemp in Leamington Spa, Warwickshire, England in 1935 she was a British fashion model who hit the newspapers because she was a judoka trying to get into pictures. She and her husband Doug Robinson were partners in a London gymnasium. Sheena made her movie debut in the Spanish/British co-production “Pasaporta al Inferno (1956), in which she played a girl in the nightclub scenes. 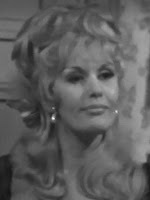 In Britain she was mostly seen in small television roles (e.g. ‘Educating Archie’, 1958) and commercials. In 1958 she landed an important role in the West End play The Trial of Mary Dugan, as a “know-all-about-men-girl”. When Jayne Mansfield was making “The Sheriff of Fractured Jaw” (1958) in Britain, Sheen was considered as Jayne’s stand-in but Jayne wasn’t pleased at all and the deal go through. She appeared in the play When in Rome with June Laverick and Dickie Henderson, in 1959. Marshe did some movies in the early sixties “Over the Odds”, “Dentist on the Job”, “The Frightened City” all in 1961 but never reached real fame. Sheena appeared as Kate Fisher in the 1966 British TV series ‘Doctor Who: The Gunfighters’. As it is known, after his 1968 speech in favor of Czechoslovakia’s political right to self-determination, Nicolae Ceauşescu was no longer in good relations with Moscow and with some of its satellites. This was one of the reasons why he sought to approach the West, the USA, and Yugoslavia. He was the first communist leader to visit London and Washington, while Bucharest was the first communist capital visited by Charles de Gaulle and by American presidents. Richard Nixon visited Romania in 1969, and his successor, Gerald Ford, followed in 1975. In return, Ceauşescu also visited the United States twice, in 1971, and 1978. 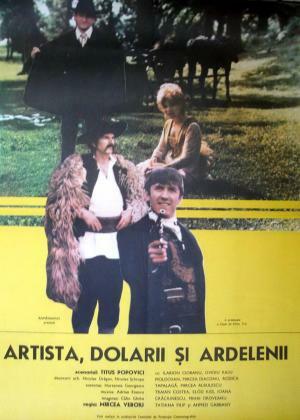 The three Romanian westerns The Prophet, the Gold and the Transylvanians (1979, d. Dan Piţa and Mircea Veroiu), The Actress, the Dollars and the Transylvanians (1981, d. Mircea Veroiu) and The Oil, the Baby and the Transylvanians (1982, d. Dan Piţa) are parodies and this is what makes them valuable, probably more than they would have been if they were serious westerns. Unlike with classical westerns, the main characters are not American and they do not intend to settle in America. It is the story of three brothers from Transylvania, the oldest and the youngest arriving in the USA, not as immigrants but in order to look for the middle one and bring him home. The historical circumstances are barely credible: the elder brother, having participated as a volunteer in the Romanian War of Independence of 1877 (although, as Romanians from Transylvania they would have been, at that time, subjects of the Austro- Hungarian Empire), he wants to bring his brother home believing that, now that Romania had become independent, their fate as Transylvanians would be more promising. Once in America, the brothers are reunited but they encounter various obstacles which prevent their return. First, there is gold and a Mormon leader, then oil, then the marriage of the youngest brother and the birth of a baby, a conflict with Hungarian neighbors (even in America! ), fighting bandits, and finally, the eldest brother’s passion for an actress. All these will postpone their trip back to Europe during the first film, and also during its two sequels. Each of the three brothers has his own skills and character traits that help them survive and fight against the villains of the West: the elder brother with his mixture of native force, peasant wisdom and innocence, the youngest with the knowledge he’d earned from books, and the middle one with his riding and shooting skills he had acquired as a frontier man in America. Thus the Transylvanians solve America’s problems before getting a chance to solve their own back home! Even the episode of the quarrel and subsequent alliance with the Hungarians symbolize that the old Romanian- Hungarian feud is not irreconcilable. Paradoxically, the three Romanian westerns resume the ideological war with the West in subtler way. To understand that we have to remember two other films made the same time: Aurel Vlaicu (1977, d. Mircea Drăgan) and Stefan Luchian (1983, d. Nicolae Mărgineanu). While the westerns deal with a Transylvanian peasant who looks for a better life in America, the films mentioned above are about two famous Romanians, an airplane builder and a painter who are lured for a while by Paris. So we may say it about immigration and brain-drain, same as in the Yugoslav contemporary production The Secret of Nikola Tesla/ Tajna Nikole Tesle (1980, d. Krsto Papić) where the Serbian inventor is a victim both of Edison and J.P.Morgan, which might be true and that is why turned into a patriotic film. Such an interpretation may seem far-fetched with the westerns, but we must remember that it is not a case of immigration from Romania but from Transylvania under Austrian-Hungarian rule and the elder urges his brother to return home because “Our country Romania is free now”. The scripts belong to Titus Popovici, probably the greatest Romanian scriptwriter during communism, already specialized in epics and friend of director Sergiu Nicolaescu. The fact that he was a member of the central committee of the Romanian communist party is obviously quite an important detail. In spite of that, according to the documents regarding the production of The Prophet, the Gold and the Transylvanians kept by the Romanian Film Archive, Titus Popovici was advised to “underline the seriousness” of certain scenes and, because he didn’t quite stick to all the terms of the agreement, was finally fined with 10% from the value of his contract. The total value was of 140,000 lei which, at that time, was worth about 10,000 USD, or the price of two Dacia automobiles. 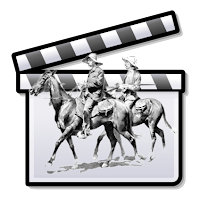 The three westerns present some unusual situations. First of all, they are about Romanians going to America and intending to come back. Even reconstructing the Far West using Romanian locations was unusual, although the 1968 Romanian- West German- French co-production The Adventures of Tom Sawyer/ Aventurile lui Tom Sawyer and its sequel The Death of Indian Joe/ Moartea lui Joe indianul (d. Mihai Iacob and Wolfgang Liebeneiner) were the first films made in Romania whose plot required an American western atmosphere. The French, German and Romanian cast tried to play Midwestern Americans living at the end of the 19th century, while the Danube played host to Tom Sawyer’s adventures, replacing the Mississippi. 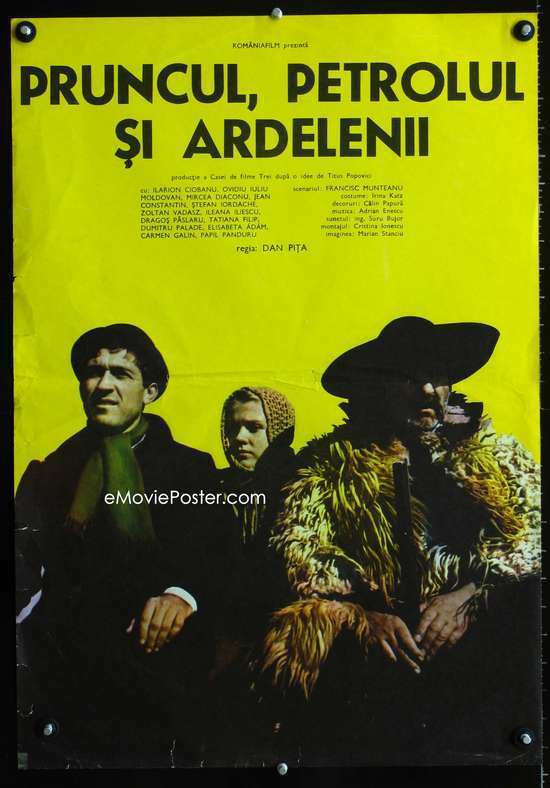 During communism, Sergiu Nicolaescu was the first director who shot some scenes abroad, in Istanbul and Prague, for his epic The Last Crusade/ Michael the Brave/ Mihai Viteazul (1971). Nicolaescu was one of several Romanian filmmakers who have been involved in international co-productions, including westerns. Between 1968- 1988, Nicolaescu directed a film and two TV series of the western genre. They were screen adaptations of novels by Fenimore Cooper and Jack London: The Prairie/ La prairie (1968, France- Romania, co-directed by Pierre Gaspard-Huit), and the two series Leather Stocking Legend/ Die Lederstrumpferzählungen (1969, France- West Germany- Romania- Austria) and The Gold Rush/ Lockruf des Goldes (1975- 1988, Austria- West Germany- Romania- France, with Alecu Croitoru as co-director). 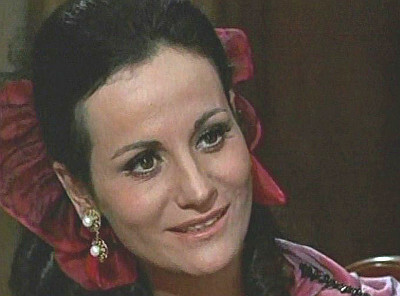 Several Romanian actors were cast in westerns shot in Yugoslavia, such as Violeta Andrei who became Gojko Mitić’s partner and a prototype for the beautiful ‘squaw’ (the American native chieftain’s wife). It is maybe a significant illustration of the ‘relative liberalism’ of the 1960s that “Romanian Folk Ballads”, a collection of folklore published in 1966, included an early 20th century ballad from Maramureş called “The Song of Immigration”/ “Cântecul emigrării”. The ballad tells about the adventures of Transylvanians travelling illegally from Austro- Hungarian Transylvania to the harbor of Fiume (Rijeka) in order to embark on a boat for America. The ballad ends with the first impressions of the naive Transylvanian in New-York: “Arrived in America, guess what I saw then:/ Only black folks and Englishmen.”. A similarly rare and amusing gem is the documentary film If I Were a Cowboy/ De-aş fi cowboy (1972) 14. Nicolae Cureliuc, a self-educated peasant from the village Mariţeia Mică, sends a letter to the magazine “Cinema” in which he asks whether cowboys still exist nowadays. Director Iancu Moscu tried to find an answer and made two trips to Mariţeia Mică, a village in North-Eastern Romania where the residents live mainly from livestock. He interviewed some naive youngsters and even screened The Miracle Rider/ Călăreţul misterios, a vintage western (1935) starring Tom Mix, at the local cinema. Iancu Moscu’s documentary shows the faces of the spectators while watching the film and alternates images of the Romanian village with scenes from the old film. Although the documentary also shows images from the nearby modern silver exploitation at Leşu Ursului, much different from an early 20th century gold mine in the Wild West, the village itself ironically proves that life was still similar. Such ironical conclusion contradicted, in fact, the official propaganda of the times about communism having improved the village life. In 1972 Romanian villagers still used, as they still use today, horse-drawn carriages, still got drunk at the local bar and, while some rode motorcycles, most still proudly wore their wide-brimmed hats. It is important to consider some other facts about the period when the three ‘Transylvanian’ westerns were made, in order to better understand and assess the extent of their boldness. Four years before, the first Romanian western writer Nicolae Frânculescu published his first western novel: “The Fangs of the Jackal”/ “Colţii şacalului” (1975). It was followed by “South of Rio Grande”/ “La Sud de Rio Grande” (1980). Both novels pretend to render the notes and adventures of Ştefan Şercanu, a Romanian who crossed the Wild West. In 1988, the first novel was turned into a comic strip by Sandu Florea (under the pseudonym Dorandu). In 1977, two years after Gerald Ford’s visit to Romania and one year before Ceauşescu’s second visit to the USA, the Romanian Academy published a first collection of studies on the history of Romanian- American relations: “The Image of the New World in the Romanian Principalities and Their First Relations before 1859”. In fact, Gerald Ford’s visit is mentioned in the foreword of this book. The most interesting fact is that the book offers a short biographical note about George Pomutz (1818 - 1882), an American hero of Romanian origin. He was a general during the Secession War, and because of his knowledge of foreign languages (he knew no less than eight), he was later appointed general consul for the USA in Russia, where he was the one who bought Alaska for the US 18. Two years before the publishing of this first collection of studies on early contacts between Romanians and Americans, Val Tebeica published a book (also the first of its kind) on Romanian explorers. Although he wrote about several explorers such as Iuliu Popper, who went as far as Tierra del Fuego, or Samuilă Damian, a globe-trotter who met Benjamin Franklin, the author does not mention George Pomutz, whether because he did not know about him or he simply did not find his story relevant enough. In order to render Romania’s efforts at that time to play the card of collaboration with the West and the USA, we should also mention that, in 1974, the Romanian air company TAROM inaugurated the first regular flights to New York, soon after Yugoslavian JAT and Aeroflot from USSR. In 1976, to celebrate the USA bicentennial anniversary, the Romanian Navy exercise clipper “Mircea” visited several US harbors; in 1980, Bucharest hosted the 15th International Congress of Historical Sciences, and, in 1984, Romania and Yugoslavia were the only communist countries who attended the Olympic Games in Los Angeles. Perhaps of less importance, but still relevant, is the fact that, in the late 70s and in the 80s, Bucharest had a cinema theatre specialized in screening mainly westerns. It was called “Luceafărul“ (The Morning Star), today “MediaPro Cinema Theatre”, and centrally located. And, for the picture of that era to be complete, we should also mention that, when the three Romanian westerns were screened (1979 - 1982), the times of “national communism” had already begun. Economically it was the beginning of a period of severe deprivation and shortage of consumer goods, after Ceauşescu had decided to urgently repay the country’s foreign debts through massive exports and a drastic reduction of imports. 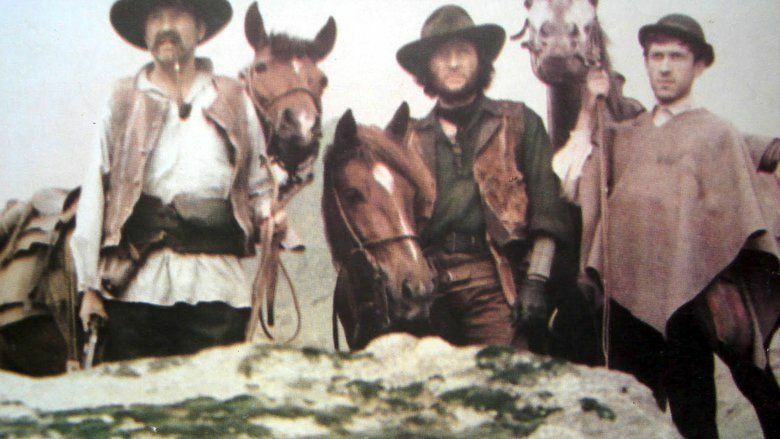 Thus, the number of genuine American westerns had already decreased, as did the overall number of foreign films released in Romania, while the number of Romanian feature films reached its peak: 30 films were made in 1980. Maybe it is not only a coincidence that three of the people involved in making Romanian westerns left Romania soon after completing their works: director Mihai Iacob left Romania for USA in 1973 (where he also died in 2009), director Mircea Veroiu left for France in 1984 (but came back in 1996), while cartoonist Sandu Florea also left for the USA in 1991.